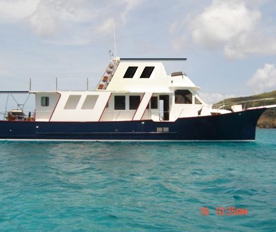 Your crew aboard this luxury motor yacht are the wonderful and friendly Celine and Serge. Now in their forties, Celine and Serge came from a busy professional life before they settled in the Caribbean with their beautiful yacht. Celine and Serge come fully prepared for life at sea, with already three years offering private charters aboard their luxury motor yacht and vast travel experiences of their own. 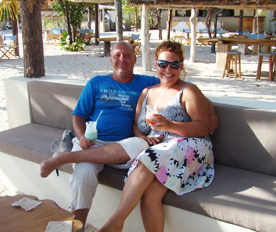 Come join us for a very comfortable and exciting voyage through the Caribbean, and discover the world of boats, navigation, salt water, good food, beaches, new cultures, and sunshine that Celine and Serge have come to love so much! 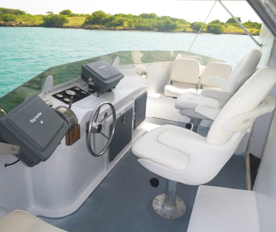 Our cruising grounds extend from Grenada to Martinique, and charters generally commence in St. Lucia. The food is locally-sourced, seasonal, delicious, and always customized to your tastes. And the islands of the Caribbean are, well, yours to explore – in luxury at sea.